It's not surprising that moonstones have become a favorite among jewelry wearers and designers alike. The semi-precious stone's unique aduralescence—a phenomenon whereby the stone's geological structure creates what appears to be scattered moonlight—sets it apart from other popular gemstones, imparting with it a cosmic allure that has a rich history. According to Hindu mythology, moonstones are composed of solidified moonbeams. Many other cultures also associate the iridescent stone with moonlight, hence its name. Despite its ethereal nature that has made the stone a bohemian favorite, moonstone jewelry appeals to a wide array of aesthetic sensibilities. "One of the reasons I love moonstone is because it reflects so many different colors depending on the angle you move it. However it remains neutral enough to wear with everything," says Nicole Wegman of Ring Concierge, which boasts a diverse collection of elevated moonstone earrings and rings. "We love them mixed with micropavé diamonds for added sparkle." Whether you're seeking moonstone's cosmic allure or simply love their stunning glow, you can find moonstone jewelry at a range of price points. We've rounded up our favorites on the market here. Head below to shop moonstone jewelry pieces you'll want to add to your jewelry box. 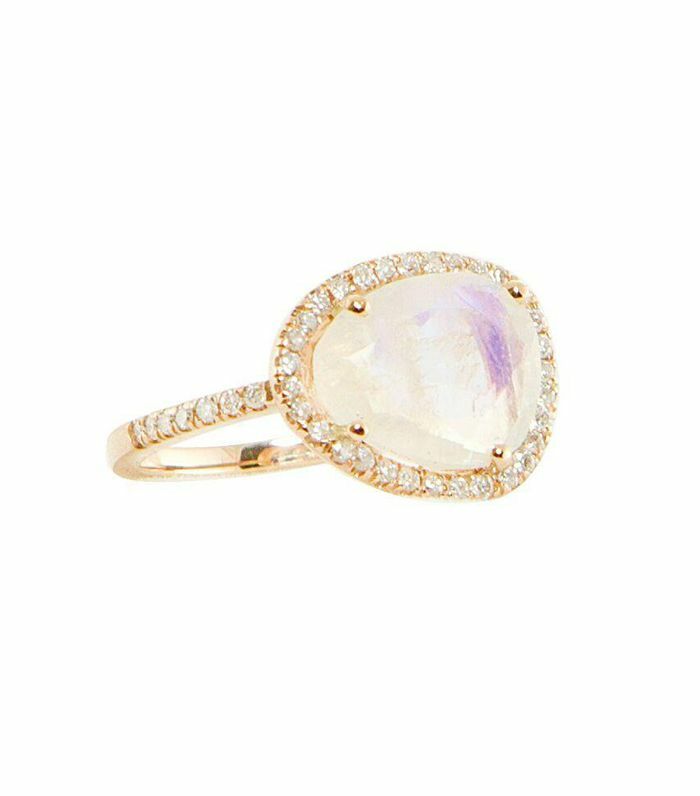 Now take a look at seven moonstone engagement rings that will take your breath away.